China won’t set an official trade target for 2016, citing increasing international economic uncertainty. Many observers have already rolled their eyes as Chinese Premier Li Keqiang, at the opening of China’s National People’s Congress this Saturday, announced a GDP growth target between 6.5 and 7 percent for next year. The Economist, in a bold, tongue-in-cheek prediction that is almost certain to be correct, notes that on January 17, 2017, when we’ll learn of China’s actual economic growth for 2016, expect a report that growth was “was no lower than 6.5 percent and no higher than 7 percent.” Indeed, when Beijing announced its official 2015 economic statistics, showing 6.9 percent GDP growth for 2015, there was considerable skepticism. Next year’s target, which is a range spanning 0.5 percentage points, does give the Chinese government some breathing space as it looks to finally embark in earnest on much-needed structural reforms. The State Council’s willingness to abandon the long-standing practice to specifying single number target suggests that it is opening itself up to accepting the economic uncertainty of the current global environment. Moreover, incoming lay-offs at state-owned enterprises (SOE), for example, suggest that the State Council is looking to manage a broad-based economic shift as it did in the 1990s, with the intent of reducing overcapacity and streamlining the behemoth SOE sector, which continues to account for over one-third of Chinese economic output. On top of this, monetary uncertainty looms large as China’s currency heads into uncharted waters this year. “The global economy is experiencing profound changes and struggling to recover,” Li remarked, suggesting that the Chinese government is eager to couch its cautiousness about trade prospects in terms of global uncertainty–China’s planned adjustments shouldn’t factor into how Beijing sees its trade prospects. “Growth in trade is weak; there are fluctuations in the financial and commodity markets; geopolitical risks are rising; and there are increasing instabilities and uncertainties in China’s external environment,” he added. While Li focused on external factors as the primary source of uncertainty for China’s trade performance, Gao Hucheng, China’s minister of commerce, attributed the poor showing in 2015 to both domestic and international factors. China faces “exceptionally complex and severe circumstances both domestically and internationally,” he’d remarked at a press conference in late February. The uncomfortable underlying suggestion in China’s abandoning of its trade targets could be that Beijing has made its peace with an inevitable slowdown of its trade dominance. 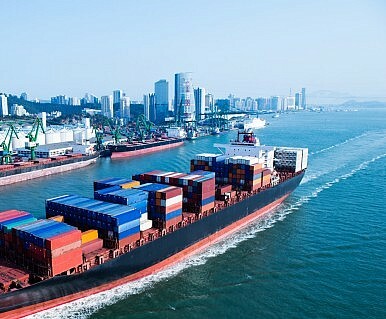 After thirty years of trade growth at double-digit numbers, Beijing has seen seven straight months of declining exports and 15 straight months of declining imports. While GDP numbers can always be massaged within proscribed targets, it’s harder for China to mask weakening trade performance. Given current trends, dropping the target makes good sense for Chinese leaders who are eager manage expectations about China’s economic performance at a time of slowdown and uncertainty. The official figure was nearly on target, but critics are unappeased.